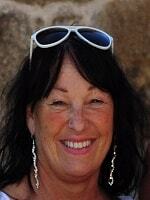 My areas have lots to offer, walking, bike riding , horse riding, lakes and fishing. There is really something for everyone, we have amazing summer markets and brocants/car boot sales for you to pick up some great bargains for that new property. I have been living in La Creuse for over 10 years. Although my background was in accounts I have been involved in Project management and renovation for over 16 years, involved in buying and selling property and even building my own property portfolio, both in the UK and France. I was trained by and worked for a French Estate Agent for 18 months gaining lots of experience with both French and English clients, which enabled my French vocabulary to improve. I was then fortunate to be offered a position with Leggett I went on their training course and started working for them in January 2015 and have never looked back I have loved every minute. I cover Benevent, Vieilleville, Marsac, St Dizier Leyrenne, Gueret, Chatelus le Marcheix, Sardent, Pontarion and many more areas, if you have a house to sell and would like to meet me for some help advice or information or you are looking to buy a property please look at my portfolio or email for any further information. Looking forward to hearing from you in the near future. 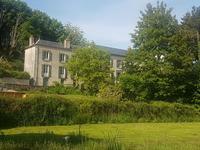 Excellent opportunity to own an established B&B, campsite with 27 places and gite/cottages . . . Beautifully restored seven bedroom stone presbytry with gallery restaurant and large gardens, in the centre of a busy village. Fabulous business opportunity. 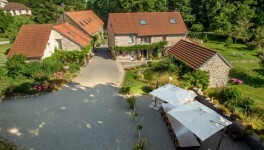 FIVE STAR RATED UP AND RUNNING GITE COMPLEX, THREE 4 BEDROOM HOUSES, LARGE GARDENS AND HEATED SWIMMING POOL. 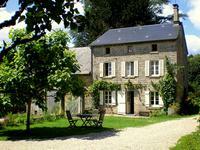 Situated in a village, with the stunning Limousin countryside on all sides, three stone . . .
A cluster of 3 buildings in a quiet setting. Steeped in history this magnificent Mill . . .
A fabulous opportunity to aquire an award winning boutique style B&B with an acre and a half of gardens and woodland, pool and orangerie all on the edge of a bustling market town. Excellent professional, commercial and private business potential situated in the thriving . . . 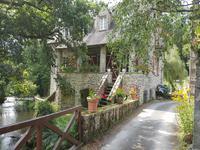 Situated in a very picturesque corner of the Limousin countryside, this is an ideal . . .
An immaculate property, renovated to a very high standard, and a contempary style, yet . 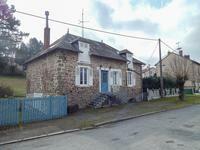 . .
Nicely presented 4 bedroom property with attached small house for renovation, also an . . . 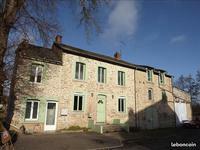 Interesting Property, set in the heart of a lovely historical town. 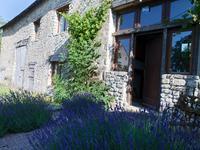 Property consists of a . . .
Beautiful five bedroom stone barn conversion in the centre of a village with amenities. Immaculately presented barn conversion with large private gardens, amenities all within . . .
Beautiful stone property in an historic hamlet setting with lots of land for horses, and far reaching views across the countryside. BEAUTIFUL SEVEN BEDROOM CHARACTER TOWN HOUSE IN THE CENTRE OF A BUSY MARKET TOWN. 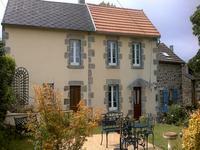 Situated in a quiet quarter of La Souterraine, a busy market town , with lots of commerce and . . . This is a lovely property, situated in a very well kept farming hamlet. Four bedrooms, very . . . Beautifully presented five bedroom property in a quiet corner of the market town of La Souterraine with an acre and a half of garden. Set back on a quiet road in the town, this propety has been kept in excellent condition, well . . .
Large and spacious five bedroom property, close to a river, perfect for bungalow living, in a quiet corner of a village, all within walking distance of amenities. 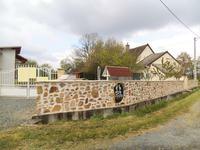 Situated in a village with lots of amenities including grocery store, boulangerie, pharmacy . . .
Beautiful stone property to finish renovating with three barns and over an acre of land set in the stunning Limousin countryside. Set in the middle of a quiet farming hamlet, this property has been a huge project. Bought as . 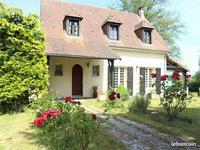 . .
Nicely presented bourgeoise house situated in a lovely historical town. All amenities within . . . Situated in the market town of La Souterraine, these apartments are already earning money, . . .
Deceptively spacious 6 bedroom detached hamlet property with over half an acre of gardens. Close to a village with amenities. Situated on a quiet lane with no through traffic, double gates onto the driveway,well . . . Beautifully presented detached 4 bedroom house with only one neighbour set in 1.18ha of manicured garden and land. Detached 2 storey garage and workshop. An absolute bargain and must see property. Large deceptive detached house. Beautiful inside and out, it is ready to move into. There is . . . In a lovely village setting, with regular clientele, and lots of passing trade, this is a . . .
Nicely renovated riverside property in walking distance of a pretty little medieval Town with . . . Beautifully renovated detached stone property with barns and outbuildings, sitting on a 1 acre site with views over the countryside. Situated in a small hamlet of a couple of other properties. Set on a small quiet lane with only a couple of other properties is this beautifully . . .
Detached 3 bedroomed property, garage, workshop/barn. Enclosed gardens, facing a small communal lake. Sits in a small quiet hamlet, however not too far away from amenities. Nicely presented 3 bedroomed detached property with barn/workshop and garage. 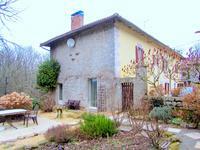 Renovated to a . . .
LOVELY THREE BEDROOM STONE HOUSE WITH SWIMMING POOL. SET IN WOODLAND, ALL REASONABLE OFFERS CONSIDERED. ALL SENSIBLE OFFERS WILL BE CONSIDERED. Charming property with an attached barn,has lots of . . .
Nicely presented recently built detached family property with 4 large bedrooms, situated in the medieval town of Bourganeuf 23400. Also has building permission to build another property on the plot. Detached 3 bedroom cottage with gardens, barns and garage in excellent condition, benefits from double glazing, gas central heating. Under 1 hr drive from Limoges airport. Nicely maintained detached bedroom cottage set in a hamlet on a small private lane. Gardens . . .
Well maintained three bedroom hamlet property with two large barns, outbuildings and over two hectres of pasture land ideal for horses. 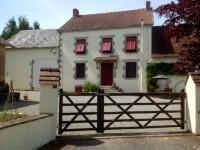 Situated in a very quiet corner of the Creuse region, ideal for horses and outbuildings for . . . Fantastic opportunity to own two farmhouses and a collection of barns and outbuildings, ideal business for gites or B&B, and an acre and a half of gardens. In a hamlet only 2 kms to a village with amenities and a couple of very good restaurants , . . . Very well presented detached 3 bedroom family home with oil fired central heating, double . . .
Three bedroom stone character hamlet property with large attached barn, wide open countryside and half an acre of land. Situated in a quiet hamlet surrounded by beautiful countryside with far reaching views. This . . .
Large imposing village house, six bedrooms, with outbuildings and tennis court to be refreshed. Situated in a quiet village, an impressive house which was formerly the home of a family of . . .
A stone hamlet property currently running as an established four bedroom B&B in a lovely setting with attached barn and two acres of land and gardens. Set in a small hamlet an opportunity to run a business, detached property used as a B&B and a . . . VILLAGE HOUSE, BUILT IN THE 1980S, IN A PEACEFUL LOCATION,WITH ENCLOSED GARDENS. This is a sound property, with only slight modernisation necessary. It has double glazed . 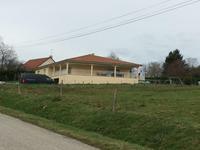 . .
Semi detached property, 3 bedrooms, walking distance to a small village. Beautiful views, the property also benefits from a south facing patio and garden, under 1hr to Limoges airport. Well presented three bedroom, edge of village house. Fenced garden with views beyond. Situated on the edge of a lovely village with amenties, this property has had lots of work . 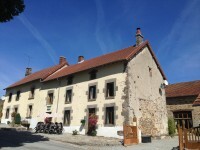 . .
Old restaurant hôtel with 5 bedrooms in a village centre. Business opportunity. Once a restaurant and bar, with five bedrooms, so an ideal opportunity for anyone looking . . .
Charming ,well presented four bedroom stone property in a quiet village with lovely gardens, and B&B potential. 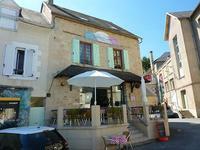 Situated in a village with restaurant and bar,boulangerie, school and post office, and within . . . Very well presented three bedroom farmhouse character property with large gardens and far reaching views. This property is in a lovely location, situated in a small farming hamlet with 180 degree . 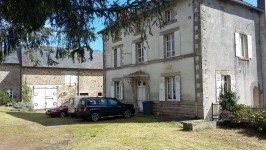 . .
A very pretty village property with lots of potential , ideal holiday home, set in the beautiful Limousin countryside. This house has lots of possibilities, as it has been built with a kitchen on both levels. . . .
Charming three bedroom stone house with large attached barn in a quiet hamlet in a stunning location. Set in between two of the loveliest towns in the region, this property has been renovated to . . .
Nicely presented 4 bedroom hamlet property, good sized manageable garden. This property would make a great lock up and go holiday property or a nice family home. Good sized 4 bedroom renovated barn property, good sized enclosed garden. Approx 1hr 30mins . . . This detached property is in excellent condition and comes with scope to create a further . 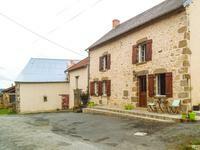 . .
Populaire village restaurant bar, two apartments, large barn and garden with terrace, B&B possibilities too. Lots of passing trade. This very appealing stone property is situated in a village between two market towns. Well . . . 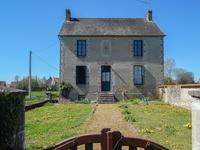 Looking for a good solid farmhouse with outbuildings and land then this is for you. Situated . . .
Delightful and spacious traditional country property built in granite stone. Not far from . . .
INVESTMENT OPPORTUNITY, TOWN HOUSE CONVERTED INTO FOUR STUDIO APARTMENTS IN THE CENTER OF A BUSY STUDENT MARKET TOWN. Situated in a quiet corner, metres away from the centre of a lovely market town. The lycée . 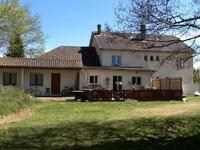 . .
COUNTRY HOUSE WITH BARN, IN A LOVELY VILLAGE, WITH LARGE GARDENS AND BEAUTIFUL FAR REACHING VIEWS. 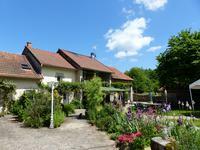 Situated in a lovely corner of the Haut Vienne, this property has four bedrooms, and a very . . .
Detached property with a garage and under floor rooms. The property is surrounded by enclosed . . .